None of us want to think about cancer...we'd rather guard the yard from squirrels! It looks like November might be the "official" National Pet Cancer Awareness Month, but beautiful May is also mentioned frequently as the month to draw attention to pet cancers. 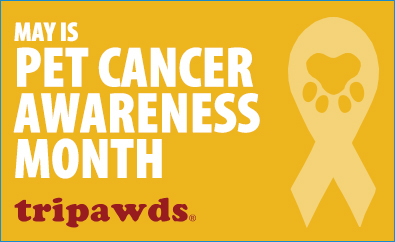 A huge thanks to our good friends at Tripawds, who have embraced May to highlight the many dogs and cats who have lost a limb to cancer—and who are continuing to thrive as tripawds! 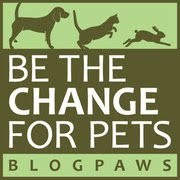 Clever icon courtesy of Tripawds...and while you're visiting their site, why not check out the plethora of information Tripawds provides about pet cancers? Knowledge is key to prevention and treatment, you know! You may also want to read this article published in Modern Dog Magazine and written by Texas A&M's College of Veterinary Medicine and Biomedical Sciences. It makes clear that the biggest reason behind cancer awareness campaigns is to ensure that pet owners know how to recognize the warning signs of cancer, so your beloved pet can have a thorough veterinary checkup as soon as possible. Here are the signs of cancer in dogs as listed in the article: "The Veterinary Cancer Society suggests checking your pet regularly for signs such as swollen lymph nodes, sudden weight loss, enlarged lumps, vomiting, diarrhea, and lameness." We strongly believe that knowledge and preparedness are keys to keeping all of our pets healthy and safe— and that's what we all want for our four (or three! )-legged family members, don't we? 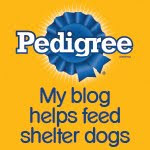 As always, thanks for your continued support and all you do to help our animal companions!